North Korea is expediting the development of various ‘Special Tourist Zones’. North Korea is diversifying its tour packages, and have designated Mt. Kumgang (Kumgangsan) and Mt. Paektu (Paektusan) as International Special Tourist Zones. A Special Tourist Zone on the riverside near the Amrok (Yalu) River Bridge is also under construction. This zone is designed to attract foreign tourists including Chinese tourists. In addition, North Korea and China are pushing forward with the ‘Onsong-Tumen Border Culture and Tourism Cooperation Zone.’ This is intended to be a cooperation zone that integrates tourism, cultural performances, duty-free shopping and serves as a distribution center of tourism products for both countries. North Korea has also revealed outlines of its plans for the Wonsan-Mt. Kumgang Tourist Region and is pushing ahead with an on-site briefing session scheduled for May 2015. While North Korea repairs and expands the existing road network connecting each tourist site (focusing first on Wonsan), authorities have decided to construct a transportation network by establishing a high-speed railroad between Pyongyang and Wonsan, as well as opening passenger routes between Wonsan Harbor and Rason, and Wonsan Harbor and Vladivostok. They also plan to introduce a series of measures for attracting tourists, including a no-visa system, currently under consideration. In addition, the Korean Central News Agency (KCNA) has announced an era of full-fledged international tourism in Mt. Paektu. 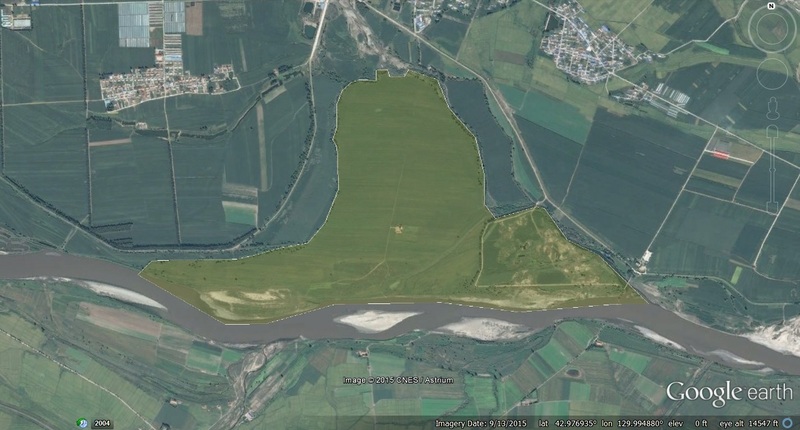 On April 23, 2015, KCNA revealed that the Mubong International Special Tourist Zone will be built in part of Samjiyon County’s Mubong Workers’ District near Mt. Paektu. The Mubong Workers’ District is 35km away from Mt. Paektu, 60km away from Samjiyon, and 70km away from Taehongdan. Thus, it is considered eligible for designation as a special district. This location is considered to be relatively well-equipped with tourism infrastructure compared to other regions, and expected to perform favorably in attracting outside investment. KCNA reported that this region has a number of amenities and attractions as a Special Tourist Zone. For example, two decades ago North Korea prepared to host the 1995 Asian Winter Games in Samjiyon until those preparations came to a halt. However, construction resumed in the 2000s, and since then North Korea has constructed a large-scale winter athlete’s village equipped with facilities such as a ski resort and ice rink. Also, Mubong lies in the middle of Samjiyon, Mt. Paektu, and Taehongdan. From Mubong one can go climb Mt. Paektu and view the entire Samjiyon area, or go to Taehongdan and see the large potato-growing districts. Since the Kim Jong Il era, potato fields were planted in Taehongdan as a tourist attraction. In Mubong, North Korea built large-scale blueberry production complexes, which have become well-known for their blueberry wine. There are also customs offices in Ssangdubong, making the entry process for foreigners presumably less difficult. North Hamgyong Province, together with Rason City which is the first economic and trade zone in the DPRK, is located in the place linking Northeast China, Russia, Japan and other Pacific nations. It has rich tourism resources including Mt. Chilbo, a celebrated mountain of Korea, and renowned Kyongsong spa. The long east coastline provides it with favourable conditions for the development of fisheries and ocean development industry. It also has the Kim Chaek Iron and Steel Complex, the Musan Mining Complex and other large industrial establishments and light industry factories, provincial branch of the academy of agricultural science and universities. The local authorities intend to develop three economic development zones in the province—Chongjin Economic Development Zone, Orang Agricultural Development Zone and Onsong Island Tourism Development Zone—by making the most of these favourable conditions. The Chongjin Economic Development Zone will focus on metal processing, machine building, building materials, electronic goods, light industry products and export processing, combined with international freight transit transport through Chongjin Port. It will be developed into a hub of production of secondary and tertiary processed metal products with iron and steel products of the Kim Chaek Iron and Steel Complex, manufacturing of machinery and electronic goods and equipment and bonded processing of hydraulic and precision machinery, robots and road vehicles with processed metal products made at the machine and chemical factories and other industrial establishments. At the moment the zone development will be orientated to renovating Chongjin Port to boost freight transit transport with Jilin and Heilongjiang provinces of China and neighbouring nations and bonded processing and trade through it, and increasing the proportion of technology-intensive processing industry by relying on the abundant skilled manpower and scientific and technological personnel in the surroundings. Professor Gu Chaolin at Qinghua University of China, an SEZ expert, said after touring the area that the zone is favourable for investment as it has a solid industrial foundation and many universities around it. As a typical unit of the northern agricultural areas on the east coast, the Orang Agricultural Development Zone will be developed into a high-efficiency agricultural base that concentrates on agricultural research and production and to which a modern food production cycle combining stockbreeding and fish farming is applied. It will be a model base of breeding and seed production and a modern intensive stockbreeding centre based on advanced farming for vegetable and flower production including water-saving and no-soil cultivation in greenhouses and a food production cycle embracing animal husbandry and fruit and fish farming. Additional efforts will be directed to the development of fruit farming by generalizing experiences gained in the building of the agricultural development zone on the trial stage to the nearby areas. Fresh and seawater fish farms and fish processing bases will be built on the shore of Lake Jangyon. After touring the area, Arnel Casanova, a Philippine SEZ expert commented that it is beneficial to have selected it as an agricultural development zone. Onsong Island on the Tuman River on the border between the DPRK and China will be built as a hub of commerce combined with tourism. You are currently browsing the archives for the North Hamgyong Provincial Onsong island tourist development zone category.